Below you will find some celebrity baby pictures. Can you guess who they are? Some of the pictured celebrities aren’t really “babies”, but they’re still little and cute. The answers are below the group of celebrity baby pictures; they’re upside down, so you’ll have to tweek your head to read them. Now follow this Celebrity Baby Pictures link to play “Who’s Your Mommy?” on TMZ.com. They give you a picture of a celebrity’s baby, and three choices of who the famous mother could be. There are fifteen celebrity baby pictures – I got twelve correct. After the famous mothers are the famous fathers in, “Who’s Your Daddy?” I did much better with the fathers – fourteen correct out of sixteen. I think it’s really fun to look at celebrity baby pictures, of both the celebrities themselves, as well as their offspring. It’s a nice reminder that celebrities are normal people, who have baby pictures just like the rest of us. I am not a fan of baby shower games (or any kind of shower games, for that matter), but I’ve always thought it would be fun to have a baby shower game where the guests bring baby pictures of themselves. The host of the party then shuffles all the pictures and displays them on a table or board of some sort. The guests then write their guesses of who is who on a piece of paper. Obviously, the person with the most right wins the game. previous post: Divorce Parties. Just In Time For Valentine’s Day! next post: Britney Spears’ Second Son Actually Exists! I got 1 right and that was janet jackson. I guessed that Janet was a Jackson, but that’s as far as I got. 12/15 on celebrity moms– that’s impressive! The only ones I didn’t get were Ricky Martin, Jimi Hendrics, and Nicole Kidman. The ones I got right off the bat were Janet Jackson, and Usher. Look the same now! LOL! Usher look so cute! He made me smile just by looking at him. Oh I was not able to guess one. Halle Berry is so cute and I like Usher’s hair. 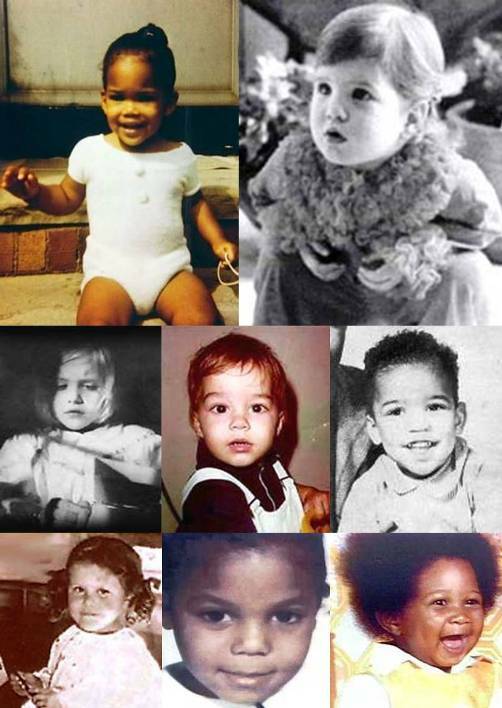 All the picture when they are still in a baby you cant recognize who are they. They are different now what they are. Jennifer Aniston she is very cute when she still a baby. I think the photo’s are very cute celebrity baby. You cant recognize when they are a baby. But they are so cute baby. Thank you. That was a great cute babies. They are different now what they are. Jennifer Aniston she is very cute when she still a baby. Thank you. All the picture when they are still in a baby you cant recognize who are they. But usher is so cute. Thank you. 51 queries in 0.607 seconds.